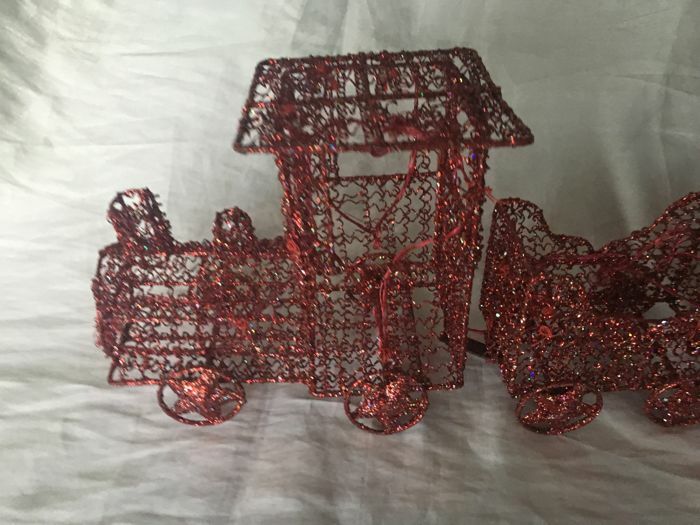 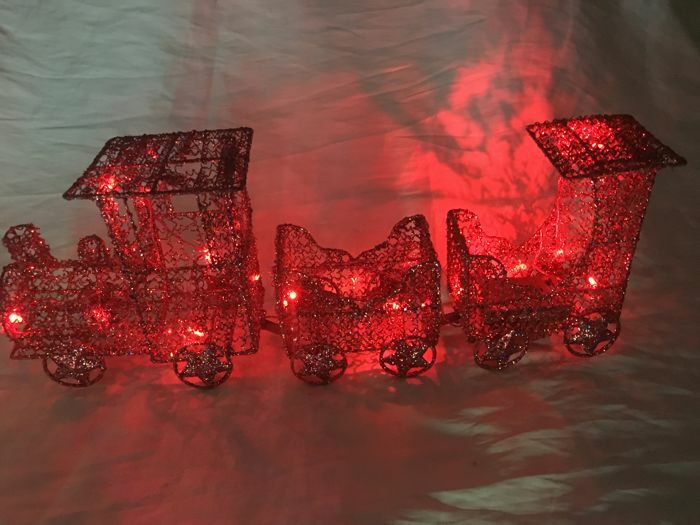 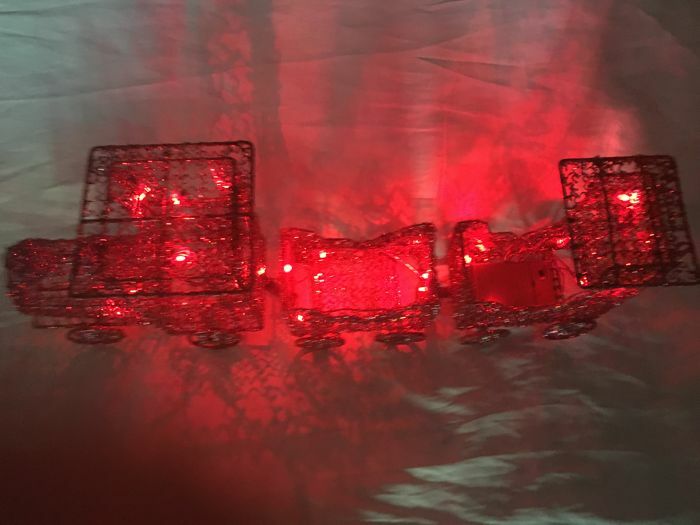 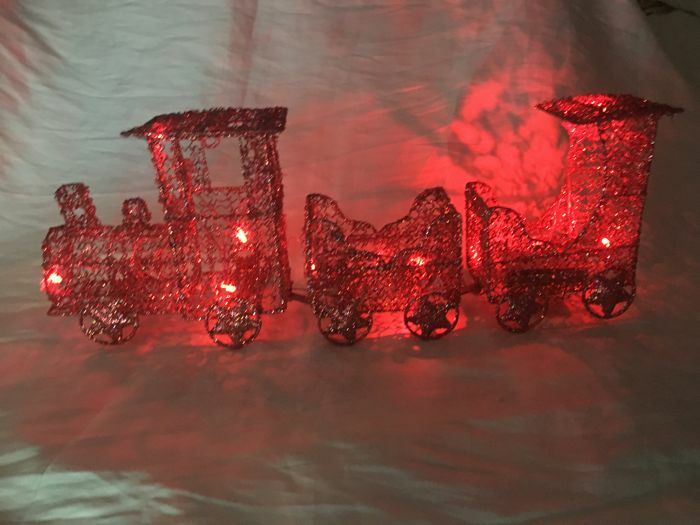 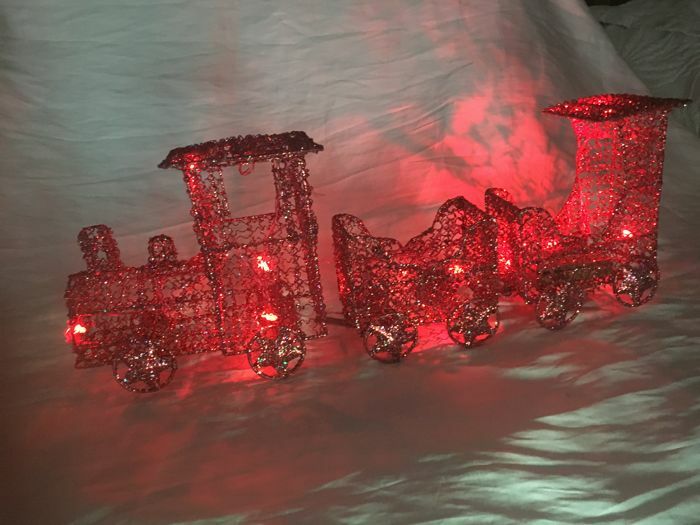 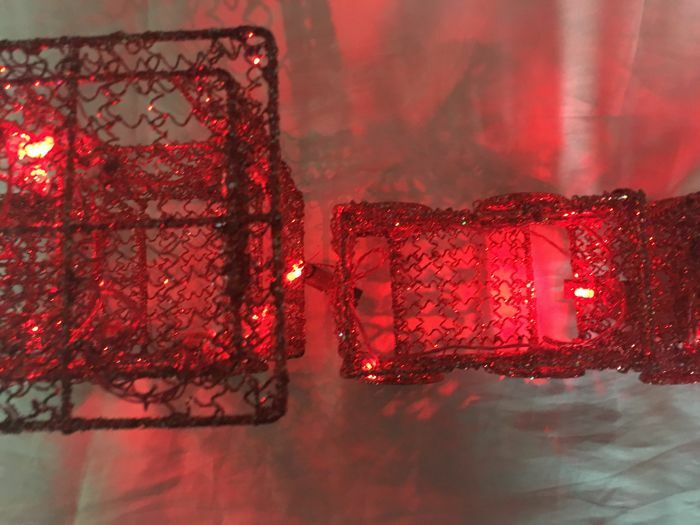 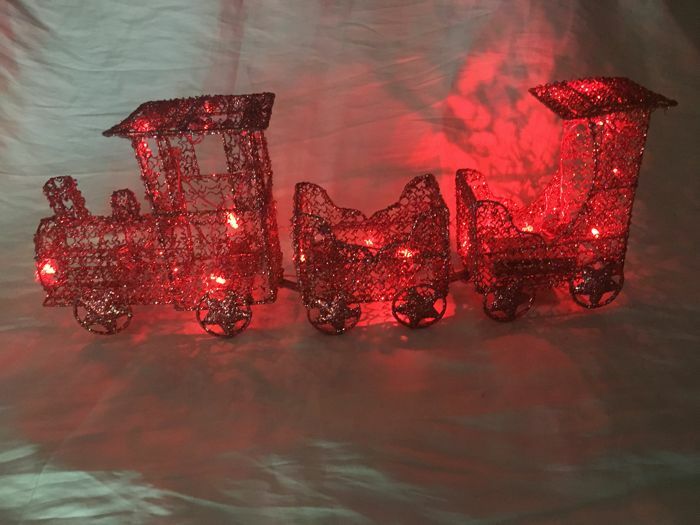 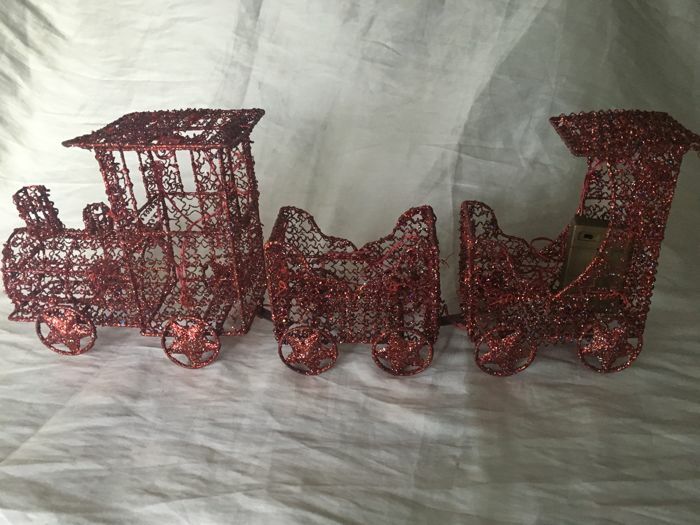 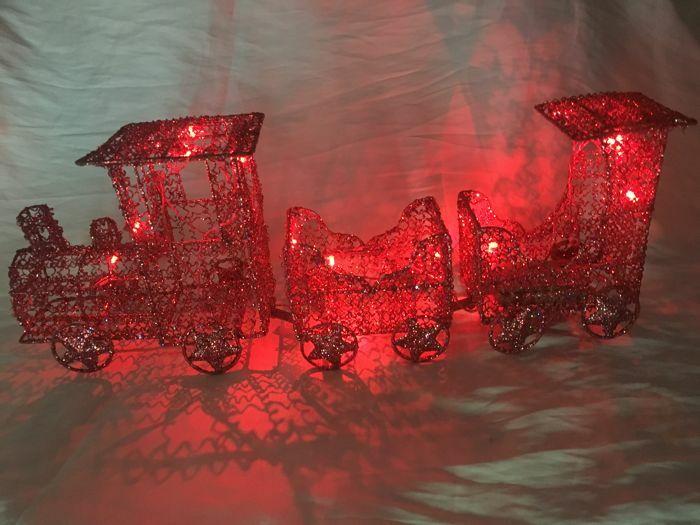 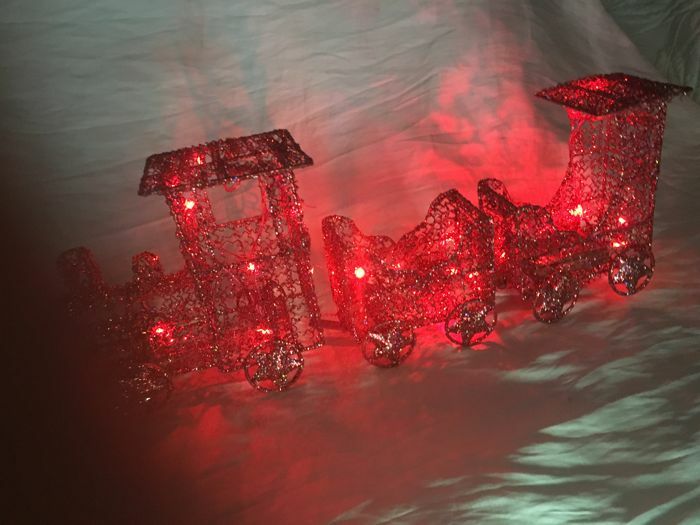 Lovely lighted Christmas train in metal, 60 cm long and 22 cm high, ideal as decoration anywhere. 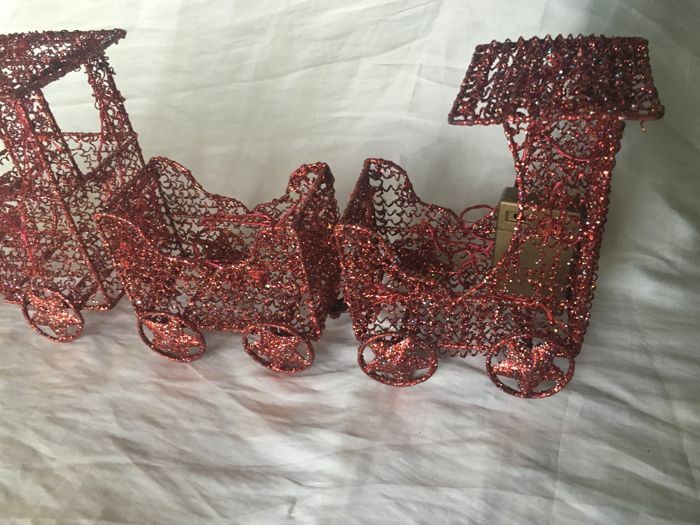 Includes a battery, in working condition. 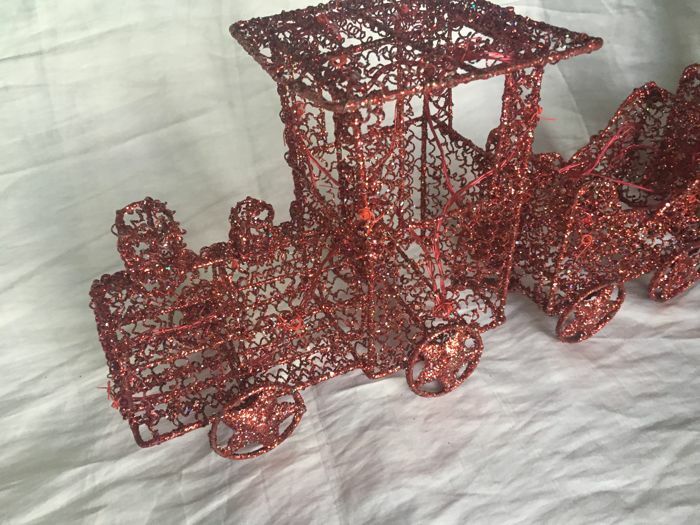 Safe packing to destination.